More Congratulations for Theresa Hughes! We are pleased to announce that Theresa L. Hughes, MBA, CTFA is newly certified as an Accredited Estate Planner® (AEP®) designee by the National Association of Estate Planners & Councils (NAEPC). 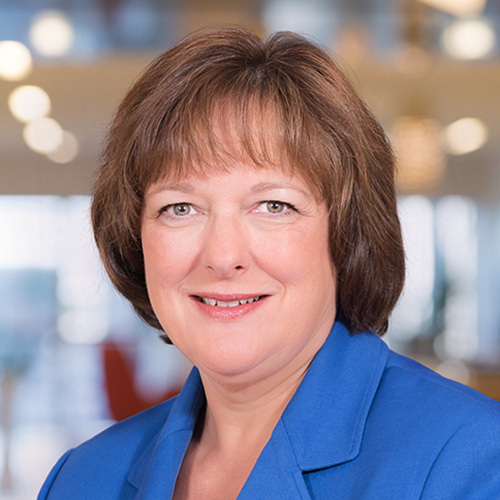 Theresa joined the firm in September 2017 as Executive Vice President of Personal Trust Services after having been in the personal trust business for over 30 years. Theresa attained a B.S. in Banking and Finance from Wilmington University, as well as an MBA from the same school. She also attended the ABA National Graduate Trust School and recently received the designation of Certified Trust and Financial Advisor (CTFA). The AEP® designation is a graduate level, multi-disciplinary specialization in estate planning, obtained in addition to already recognized professional credentials within the various disciplines of estate planning. It is awarded by the NAEPC to recognize estate planning professionals who meet stringent requirements of experience, knowledge, education, professional reputation, and character. An AEP® designee must embrace the team concept of estate planning and adhere to the NAEPC Code of Ethics, as well as participate in an annual renewal and recertification process.